Dashco are specialists in the repair and maintenance of ridges, using a specialist material only offered by a select number of suppliers. Roof Putty is a ready- to-use, storm-proof tile adhesive that stays flexible. Since it’s introduction in 1984, our flexible ridge pointing has built a strong reputation and has been used on over 4 million roofs worldwide. 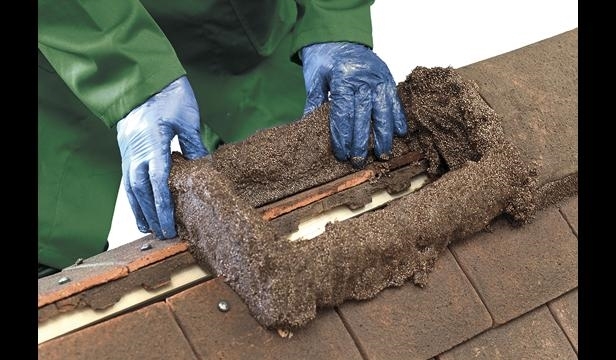 Roof Putty is the proud winner of the Innovation Award 1990, and has proved itself to be a reliable tile fastener and the best alternative to conventional mortar. 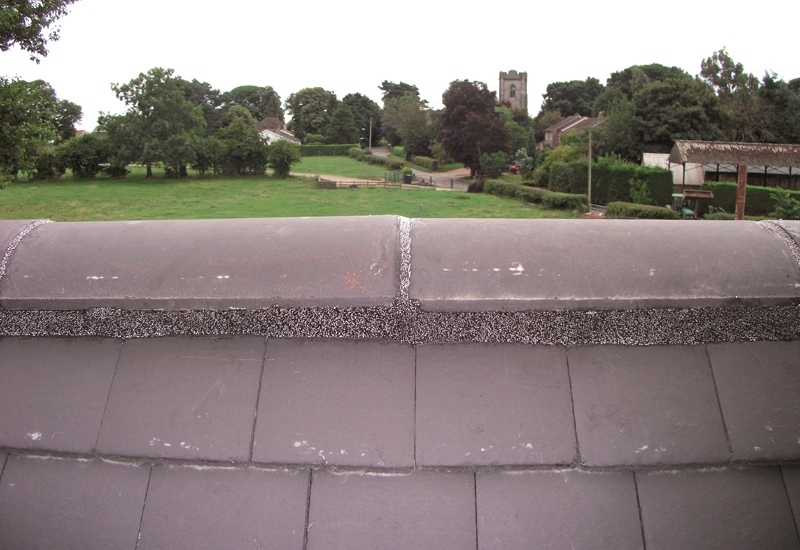 Roof Putty can be used for new build, re-roofing, repairs and sealing onto concrete, clay and other types of tile, including natural and fibre cement slate. 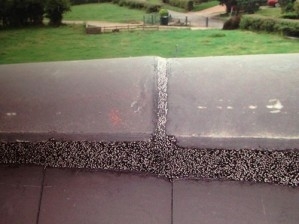 After installing, Roof Putty is instantly waterproof and will always retain it's flexibility. 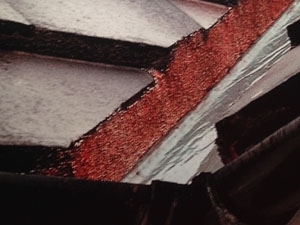 Roof Putty is unaffected by the contraction or expansion of the roof or by any uplift from wind on the tiles. Available in red, black, grey, dark-brown and light-brown. Special colours on request. Roof Putty is paintable. Please contact us for a quote or some free friendly advice.